The National Institutes on Health estimate that just over half a million people in the United States have used heroin in the last year. While it may not seem like a great many people in comparison with the overall population of the U.S., it is nevertheless significant in the eyes of those who are close to people with heroin substance abuse problems. Heroin has serious effects on the body, and heroin addiction can lead to debilitating health problems, and can even result in death. It is important that victims of heroin substance abuse get the proper treatment. It is important to note that most health professionals agree that some sort of pharmacological intervention is needed in order to treat heroin substance abuse. 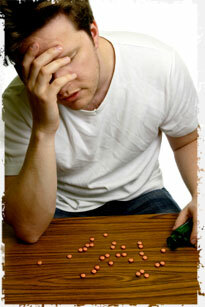 In general, there are two main drugs used to treat heroin addiction: methadone and buprenorphine. Methadone: This is a drug that became widely known in the 1980s and early 1990s due to the methadone clinics that many heroin addicts were sent to. Methadone is an opiate (as is heroin) that is synthetic - made by humans. This medication blocks heroin effects for 24 hours. However, it needs to be prescribed at high dosages in order to have any effect in those with heroin substance abuse problems. Methadone treatment is also used - along with proper prenatal care and planning - to treat pregnant heroin addicts. This can limit the effects of heroin substance abuse on the fetus. One of the controversies surrounding methadone is that it can actually be addictive as well. The large dosages prescribed in methadone clinics to treat heroin addiction sometimes result in a new addiction. However, if properly directed, methadone (which must be administered by a specific kind of health care provider) can be effective as part of a method of treating heroin addiction. Buprenorphine: This is among the newest of pharmacological agents used to treat heroin addiction. This drug is also used to treat addiction to other opiates. (Some involved in heroin substance abuse move to methadone addiction and then have that treated by buprenorphine.) Buprenorphine is less addictive than methadone. Additionally, the dose needed is not as large; it can be dispensed in a doctor's office as part of heroin addiction treatment. For the most part, heroin substance abuse is most successful when the necessary pharmacological aspects of treatment are combined with supportive and behavioral treatments. This can often be best seen to at residential treatment facilities. These are facilities specifically designed to provide help to those with substance abuse problems. One of the main advantages of residential treatment for heroin substance abuse is the fact that medical care is available 24 hours a day. This is helpful in terms of treating heroin withdrawal symptoms. Additionally, mental health professionals can help the heroin addict work through emotional and psychological issues that may arise during the process of detoxification. Another advantage that residential treatment for heroin substance abuse can have is the fact that there is a support system built in. Not only are there health care professionals, but there are also other recovering addicts. This can give someone faced with addiction a sense of comfort, knowing that there are others that they can relate - and who know exactly what is happening. Many residential treatment facilities will employ behavioral treatment techniques to help overcome heroin addiction. These techniques are sometimes used outside of residential treatment as well. The two main therapies are contingency management and cognitive-behavioral. Both are used to help reinforce desired behaviors as augmentation to the pharmacological treatment of heroin substance abuse. Contingency management: This type of therapy offers tangible rewards for progress in overcoming heroin addiction. Points and vouchers can be earned for several things, such as attending support group or passing a drug test. These vouchers and points can then be redeemed for items that provide some benefit to the substance abuse victim. Cognitive-behavioral: This type of therapy focuses on techniques that a heroin addict can use to re-focus and overcome his or her substance abuse problem. This technique seeks to modify behavior through helping the patient change his or her way of thinking, as well as modify expectations. Cognitive-behavioral therapy also involved learning coping techniques to deal with the stresses associated with overcoming heroin substance abuse. Overcoming heroin substance abuse is not easy. However, it is possible to move on from heroin addiction. But it does require integrated treatment - and support from friends and family.